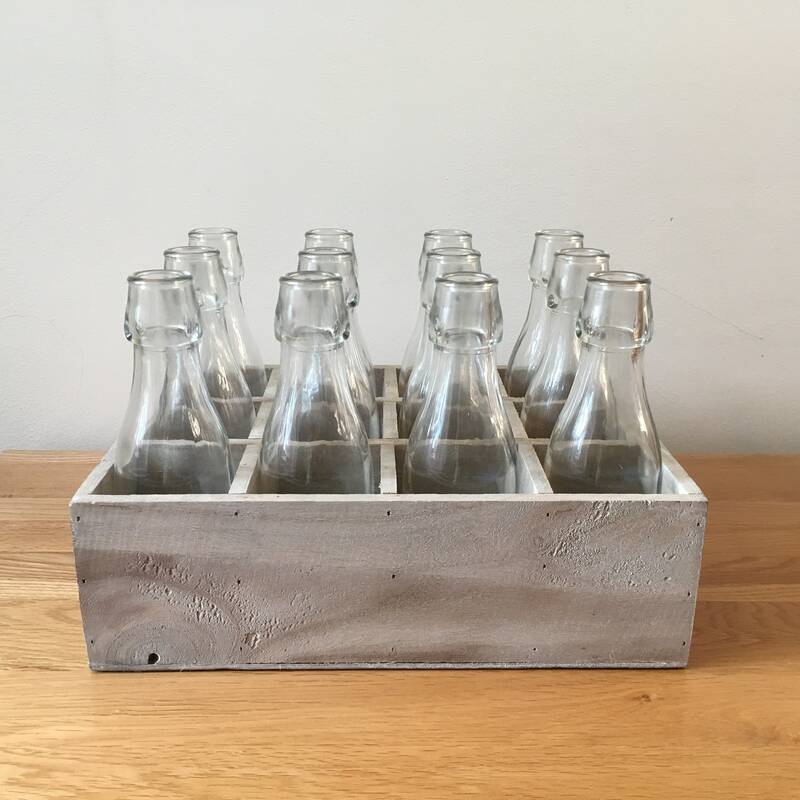 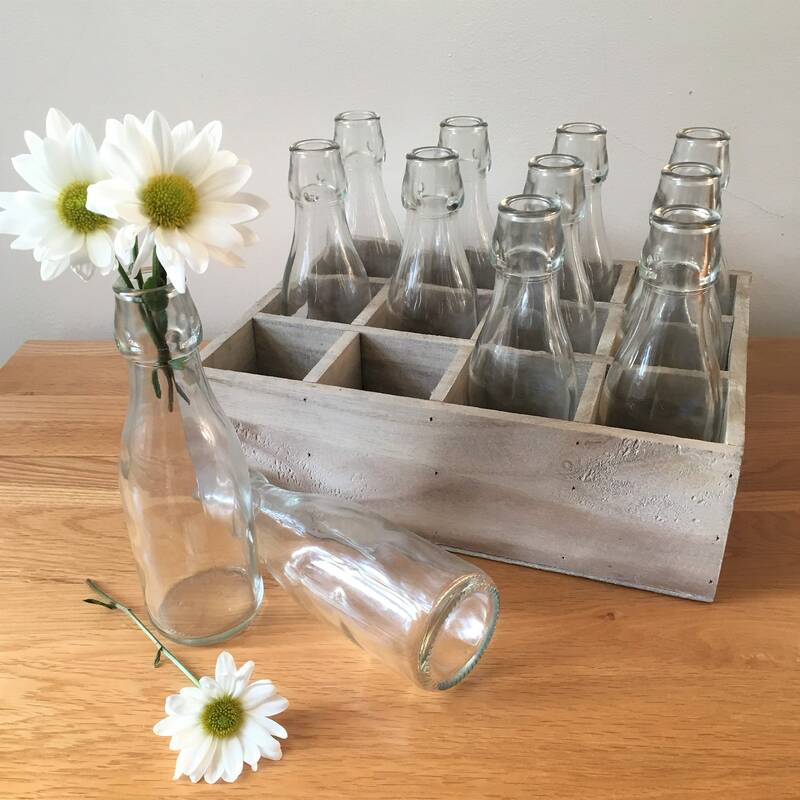 Twelve recycled vintage-style glass bottles in a rustic wooden crate. 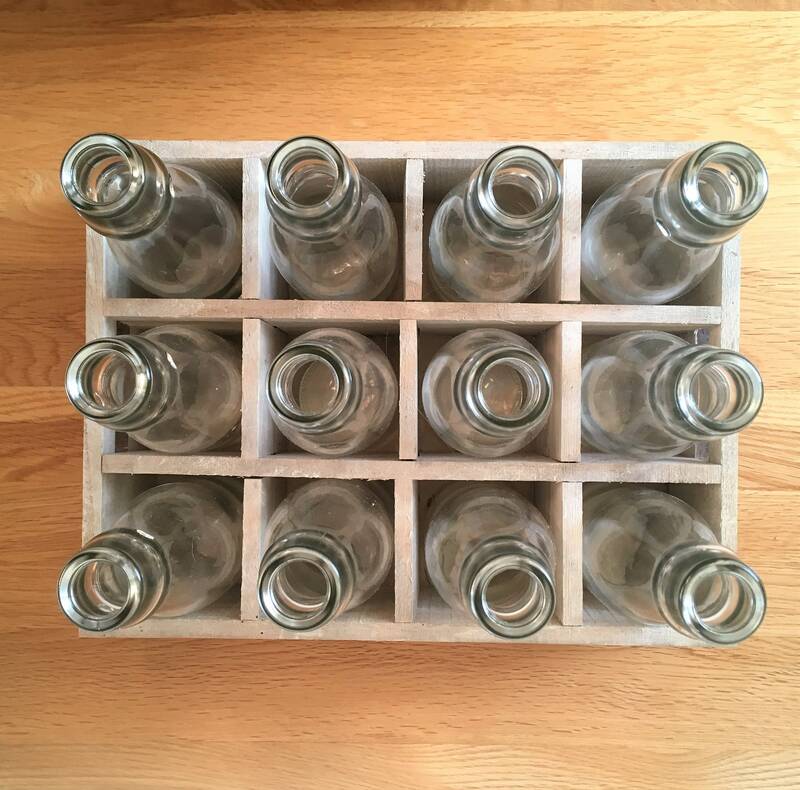 As well as looking decorative on your shelves, these lovely little bottles can be used in so many different ways! 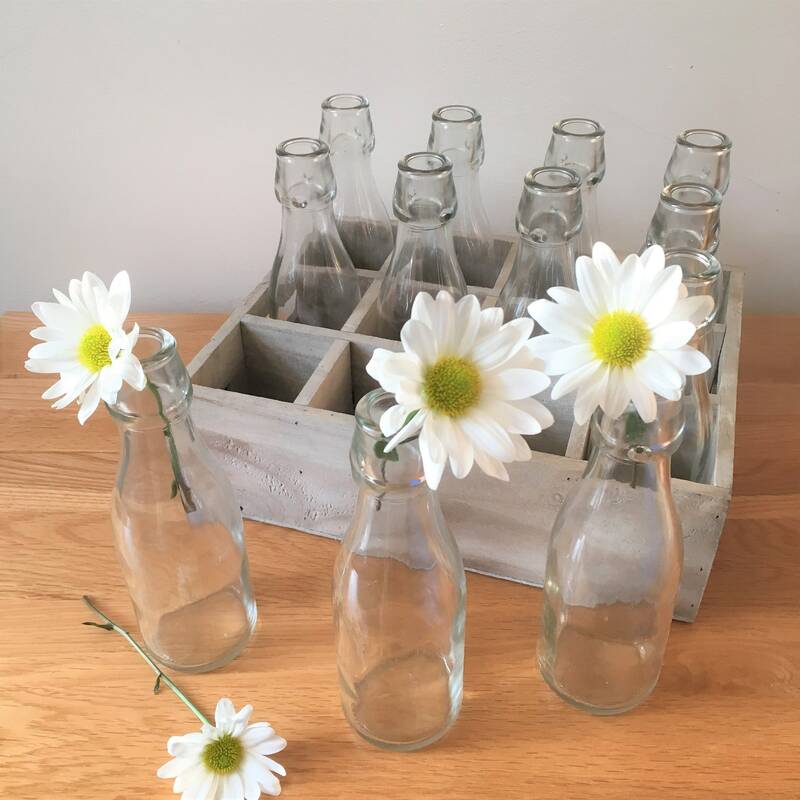 Just perfect for kids parties, and grown up ones too, you could also pop a pretty flower in each one to decorate your table, mantelpiece or patio.